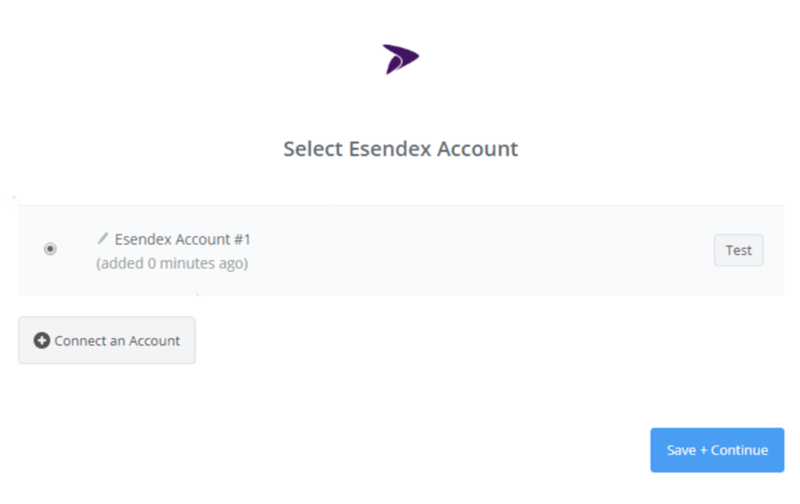 What Esendex Triggers and Actions are Supported? Send Scheduled SMS - Sends an SMS after a specified delay. Send SMS - Sends an SMS. 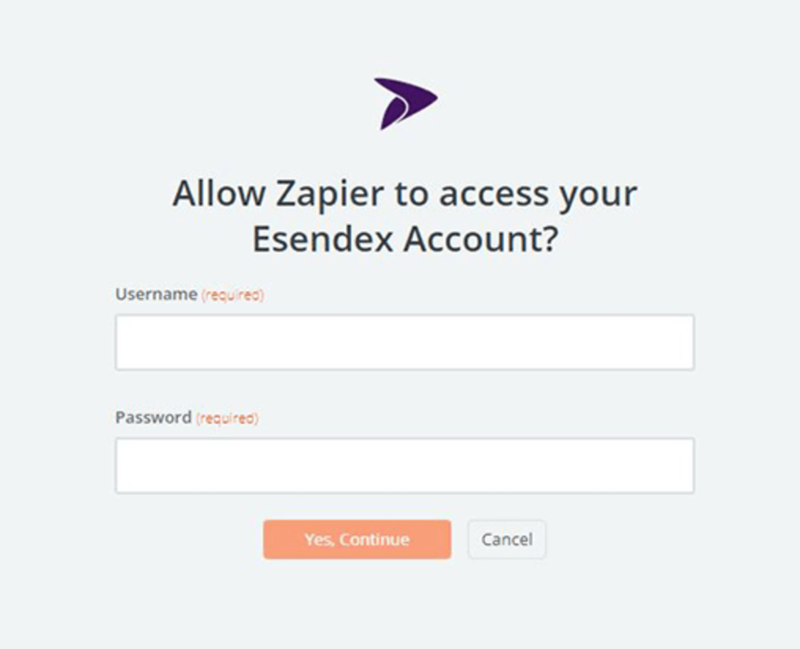 To get started with Esendex on Zapier, first you will need to click to connect your ' account to use with your Zap. Next, you'll be asked to enter your Esendex username and password. 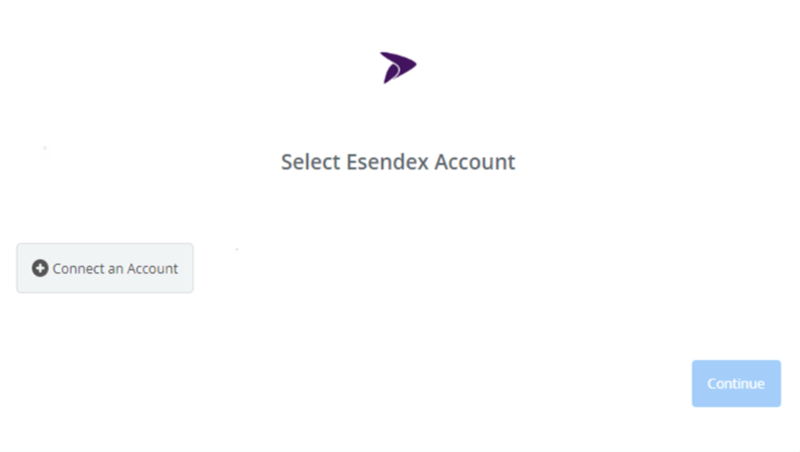 Click “Continue” and if your login details were correct your Esendex account will now be successfully connected.